Earth Overshoot Day marks the date when humanity’s demand for natural resources surpasses what the Earth can regenerate in that year. In 2018 the Earth Overshoot date is August 1st, which means that in just seven months we have now used all the natural resources that the planet is capable of producing in a year. Therefore the remaining four months of the year we are already going to be using more than the Earth can produce. Earth Overshoot Day is hosted and calculated by Global Footprint Network, an international think tank that coordinates research, develops methodological standards and provides decision-makers with a menu of tools to help the human economy operate within Earth’s ecological limits. 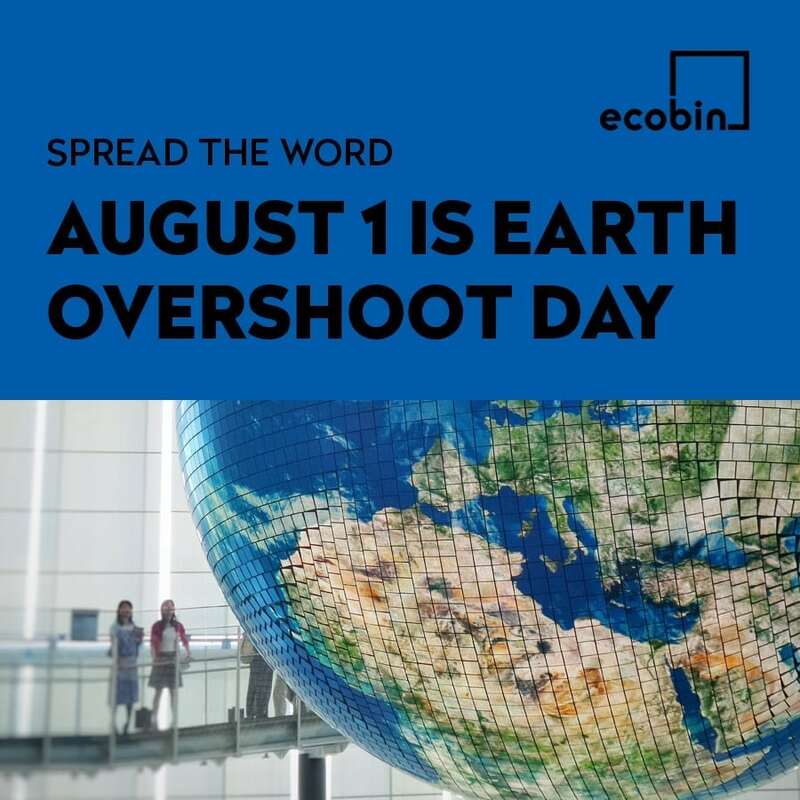 The first Earth Overshoot Day was held in 2006, and at that time the Overshoot Date was in October which means that in the following 12 years we have continued to use more and more natural resources from the Earth resulting in the date now being in August. To determine the date of Earth Overshoot Day for each year the Global Footprint Network calculates the amount of natural resources that the Earth can produce in one year, and divides it by the amount of natural resources that humans use in the year. Once that date is calculated, the remainder of the year corresponds to global overshoot. There is a campaign running to raise awareness of the Earth Overshoot Day, and to #movethedate of Earth Overshoot Day in 2019 and beyond. There are many ways that you can decrease your own global footprint to help reduce the amount of resources that we are draining from the Earth. One of the biggest things you can do is to think about ways to travel other than in a car. Cars are responsible for 19.7% of the global carbon footprint, and by changing the ways you travel without using your car you are helping to reduce your own footprint. Transport such as bikes, car pooling with friends/colleagues or public transport is an excellent way to help #movethedate. Another idea would be to increase your plant based diet. It takes 14 times as much land to produce 1 ton of beef as it does to produce 1 ton of grain and something as small as choosing to purchase more fruits and vegetables or looking at Vegetarian options when you’re next out to dinner can help #movethedate and reduce our footprint. There are many more ideas and suggestions on how you can contribute to moving the date of Earth Overshoot Day which you can read by simply clicking here.